A Blogging Reader’s ARC-Review: ‘Whispers In The Dark’ by Chase J. Jackson. ARC-Book Review! A Blogging Reader’s Review after reading ‘Whispers In The Dark’ by Chase J. Jackson. College graduate Adrian Ramirez has finally landed his first job, and it’s the opportunity of a lifetime: teaching at the elite Finley Academy in his hometown of Newnan, Georgia. 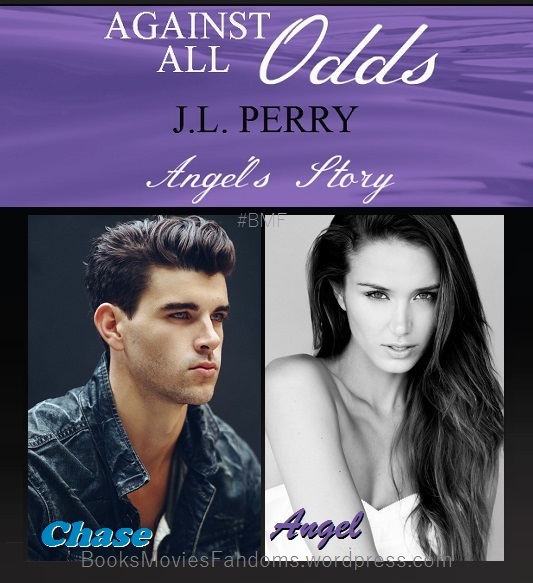 Life is on the upswing, and Adrian returns home with girlfriend Lea and high hopes – but the Academy is not the idyll he imagined. Along with the new pressures of adulthood, and a rising anxiety disorder he’s having trouble hiding, Adrian discovers there’s been a string of unexplained dropouts at the school. He suspects something is amiss with two of his students, identical twins Raven and Robin. One outgoing, one withdrawn, both keeping a secret. When Adrian is accused of being at the center of a student’s breakdown, he is forced to dig deeper to unravel the mystery, finding influences of the paranormal along the way. Will Adrian be able to unlock the dark secrets of Finley Academy – and his own past – in time? This is my honest review after reading a copy of Whispers In The Dark by author Chase J. Jackson. This young adult novel definitely delivers a decent amount of horror, paranormal aspects and revolves around a teacher and high school students. The novel is written from the main character Adrian Ramirez’s P.O.V. (point of view), but there is a second brief P.O.V. from a student character named Robin, also. Twenty six year old Adrian Ramirez just recently moved back to his hometown and into his late-grandmother’s home. 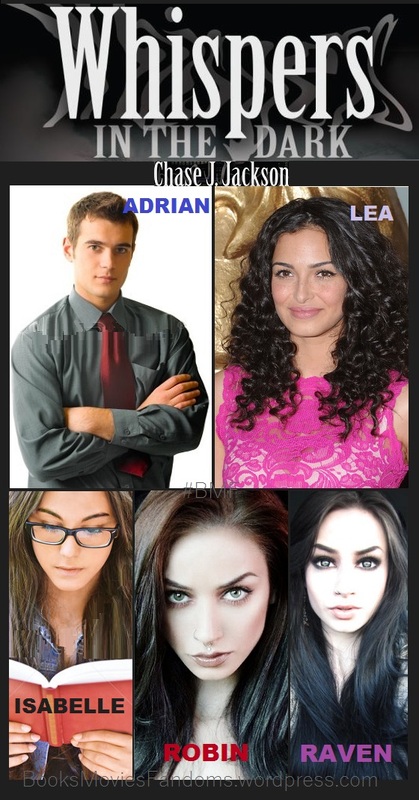 His girlfriend Lea moved with him, leaving behind her life to start a new one with Adrian. He was recently hired at a prestigious private academy to teach English to middle school students. Adrian begins catching up with his old buddies from town which begins to cause some tension in his relationship with Lea because he’s always gone, leaving her alone at home. To top it off, Lea has been hearing strange noises in the house when she’s there alone. As quickly as Adrian begins his job at the academy, unexplainable incidences begin to occur. What is the cause of the noises at the house Lea and Adrian are living in? And is there a reason behind these eerie dreams that Adrian has been having? What is with the strange students in Adrian Ramirez’s class? There are so many questions and the story leads you down a creepy path to get the answers. The storyline was catchy, had some really creepy moments and was a quick little entertaining read. There were a few flaws but nothing that truly takes away from being able to enjoy the story completely. The scary points in the story are what kept my interest while reading this story but some of the characters didn’t seem believable in small ways. “Whispers In The Dark” doesn’t fall short and delivers enough suspense to be enjoyable. This book is something to read if you’re into a book with a mix of paranormal and horror in the young adult genre. It was a decent read. Check it out if this sounds like something you’d be into. Adrian’s thoughts: …I heard the noise again. My heartbeat sped up. It did sound like someone was upstairs. I used to hear noises in this house all the time when I was growing up. My grandma always said it was just the house settling, and that I didn’t have anything to be afraid of. Lea and Adrian: “So, what do you think she wanted?” Lea asked. “Oh, you noticed that, too,” I said. “Was she always like that?” Justin asked. “Well, she’s always been the quiet one, and I was the more outspoken one, but all this bad stuff didn’t start happening until we came to this school,” Raven explained. ARC-Book Review! A Blogging Reader’s Review: ‘Vanished’ by Elizabeth Heiter. ARC-Book Review! 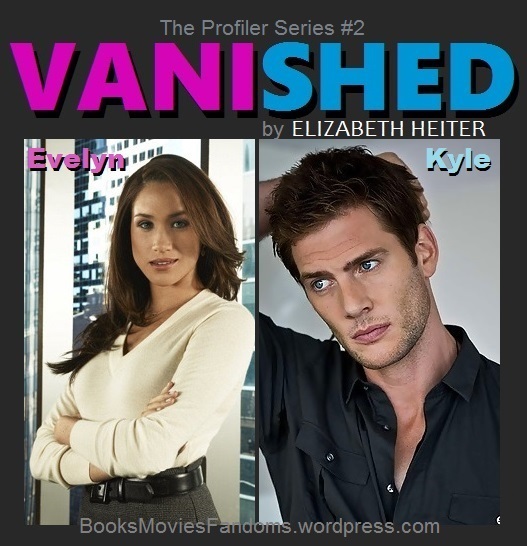 A Blogging Reader’s Review after reading ‘Vanished’ (The Profiler Series – Book #2) by Elizabeth Heiter. Eighteen years ago, FBI profiler Evelyn Baine’s best friend, Cassie Byers, disappeared, the third in a series of unsolved abductions. Only a macabre nursery rhyme was left at the scene, a nursery rhyme that claimed Evelyn was also an intended victim. Now, after all these years of silence, another girl has gone missing in South Carolina, and the Nursery Rhyme Killer is taking credit. But is Cassie s abductor really back, or is there a copycat at work? Upon receiving a copy of “Vanished” by Elizabeth Heiter to read and review, I didn’t know what to expect especially since this is the second novel of The Profiler Series. I’ll admit I haven’t read the first book of this series but after reading this one, I am very interested in catching up with what I may have missed. There are about five P.O.V.’s(point of views) at different points within the story which are from FBI profiler Agent Evelyn Baine, long time Rose Bay P.D. police officer Jack Bullock, HRT Agent Kyle McKenzie, Kyle’s HRT partner Agent Gabe Fontaine, Police Chief Tomas Lamar, young girl Mandy Toland and mysterious young girl. In the close-knit town of Rose Bay, everyone knows everyone and things seem pretty safe as far as most residents believe. A young girl by the name of Evelyn Baine comes to live in Rose Bay with her grandparents because life with her mother was anything but ideal. Being that this town was predominantly white, her light brown skin tone caused some residents to treat her a little bit different. That didn’t faze her once she met her neighbor, a friendly blonde girl who from the start said they would be best friends. They instantly clicked and everything seemed perfect for the young girls. But one night, things would change in such a terrible way. One would be taken and life would be altered in such a way that the other of the two girls would grow up determined to find out what happened to her best friend. FBI profiler Evelyn Baine got a call from her long lost best friend’s mother after eighteen years. She let her know that a young girl has been taken just like Cassie years before. Now equipped with knowledge as an FBI Profiler, Evelyn returns to Rose Bay to try and find the lost child while also seeking information about the unsolved cases from the past, one case being of her still missing best friend. I don’t want to give away too much because it is easy to spill something that may take away from the mystery of this captivating suspense story. There is also a dash of romance within the story that was a nice touch. Will Evelyn Baine ever find out what happened to her kidnapped best friend Cassie? Are the cases from eighteen years ago related to the new case? Will Evelyn be able to trust anyone or will this case cost her more than she bargained for which could include her own life? This novel is so well written and each character is thoroughly believable. I highly recommend this novel for readers who enjoy reading enthralling, suspenseful mystery novels that will keep you guessing till the very end. Evelyn and Cassie are both such strong female characters in their own ways and it made the storyline feel so deep and emotionally driven. I could not put this down. Just keep in mind, it has to do with child kidnappings in case that is a touchy subject for you. As a reader and reviewer, I look forward to reading more riveting work by Author Elizabeth Heiter. Kidnapper’s thoughts: It was the little blonde girl’s yard. Cassie. 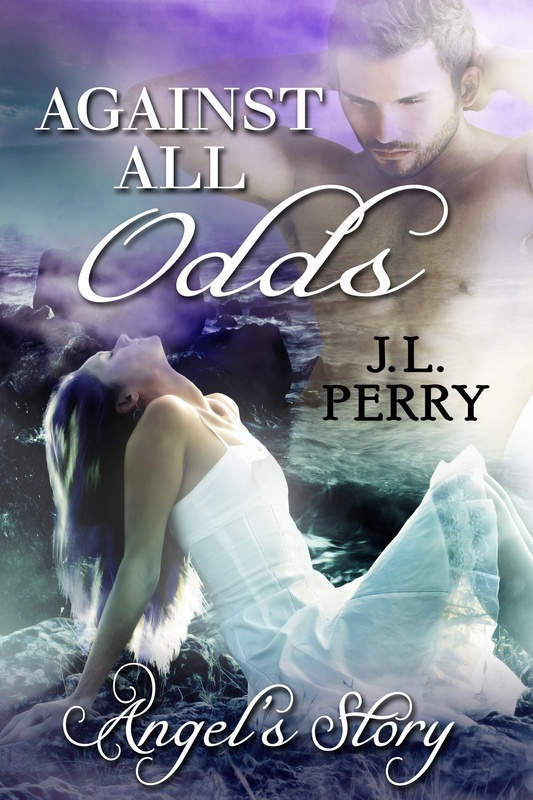 He’d noticed her first, the bouncing ringlets, eyes the color of the sky on a perfect day. She was too innocent, too trusting. Cassie had no clue what the world had in store for her. He never wanted her to have to find out. He’d picked her before he’d seen her friend. Evelyn’s thoughts: In an average social situation, she was shy and uncomfortable. Throw Kyle McKenzie into the mix and she was instantly self-conscious. Especially in the past month, since she’d opened up to him about her past, about Cassie. Since she’d kissed him, and considered jeopardizing her place at BAU for him. Evelyn’s thoughts: For two years, she and Cassie had been inseparable. And then one night, Cassie had disappeared from her bed. In her place, her abductor had left his calling card, a macabre nursery rhyme. Cassie had never come home. Kyle’s thoughts on Evelyn: It was easy to imagine her as a young girl. Her best friend torn from her life, abducted only hours after Evelyn had seen her. Even at twelve years old, Evelyn wouldn’t have sat home home everything would turn out okay. There was no way she would’ve tolerated being left behind. And he knew there was no way she’d leave Rose Bay now until she uncovered the truth. No matter how horrible it was, no matter what it cost her. Evelyn’s thoughts: A memory of the very first time she’d seen Cassie ran through her mind. Cassie had come to the door and asked if Evelyn wanted to play. She’d said they were going to be best friends. And they were.